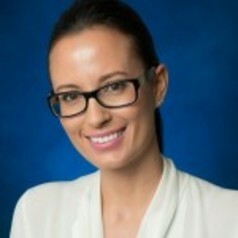 Dr Charmaine Glavas is an International Business Lecturer in the School of Advertising, Marketing and Public Relations, QUT Business School. Prior to joining QUT, Dr Glavas was the Discipline Leader of International Business at the University of the Sunshine Coast. Dr Glavas is an active researcher in the areas of small firm internationalization and international performance, international entrepreneurship, the influence of information communication technology on firm strategy, and next-generation entrepreneurship. Dr Glavas has completed a Bachelor of Business Honours (First Class Honours) majoring in International Business, and received her PhD examining the critical role of resources and Internet capabilities for leveraging global performance in international entrepreneurial firms. In 2015 Dr Glavas became a Fellow in Higher Education Academy, a British professional institution promoting excellence in higher education. Actively researching within the International Business discipline, Dr Glavas has published in top tier international journals and is an active member in the Academy of International Business (AIB), Women in the Academy of International Business (WAIB), The Australia and New Zealand International Business Academy (ANZIBA), The Australian Centre for Entrepreneurship Research (ACE), and The Australia and New Zealand Marketing Academy (ANZMAC).